The KAB Director has been developed to meet the rigorous requirements of the modern workplace. This chair has an impressive weight capacity of 225kg. The new model design incorporates an innovative seat slide concept, combined with a separate seat-cushion tilt adjustment. This allows the user to alter the length and angle of the seat to meet their desired needs. The KAB Director offers the ultimate in versatility which makes it ideal for work environments that require 24/7 attention. The KAB Director has a handy seat pocket feature that can be used to hold smartphones or other small devices. The comfortable headrest provides adjustable neck and spinal support. 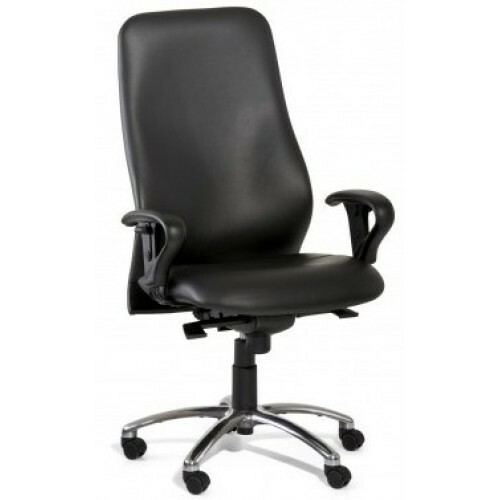 Enjoy a comfortable, customisable chair with a variety of adjustable options available. The KAB Director can use a ‘free-floating’ option or secure your position in place with a lock.